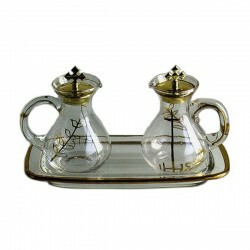 Glass ampullas with golden decoration. 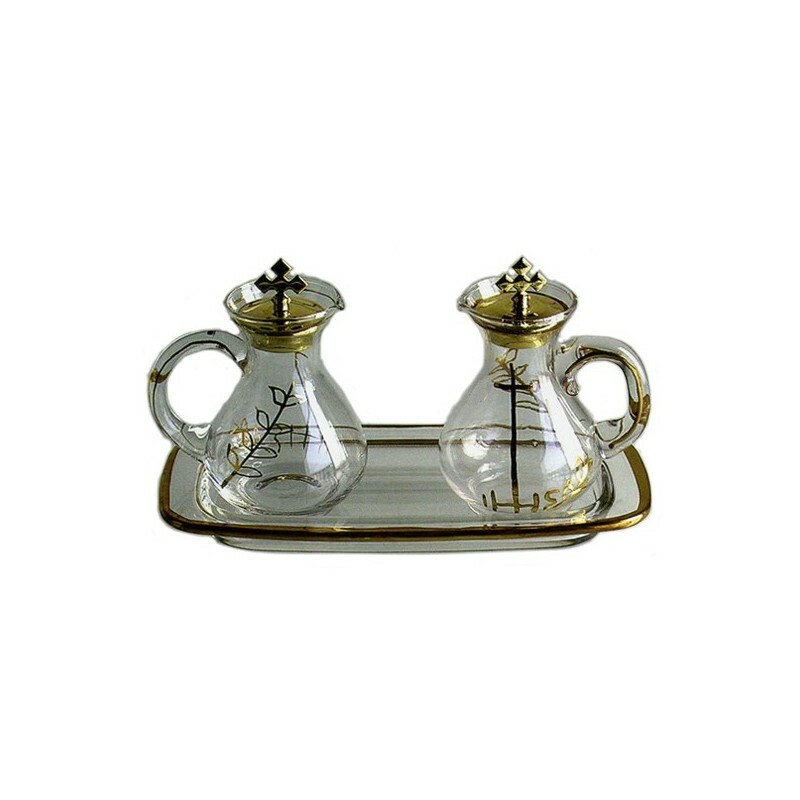 Blown glass ampullas, decorated with pure gold, capacity 100cc, with glass tray. 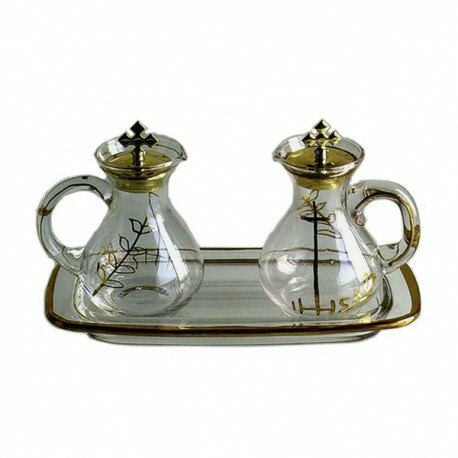 Glass ampullas, decorated with pure gold, capacity 100cc, with glass tray.